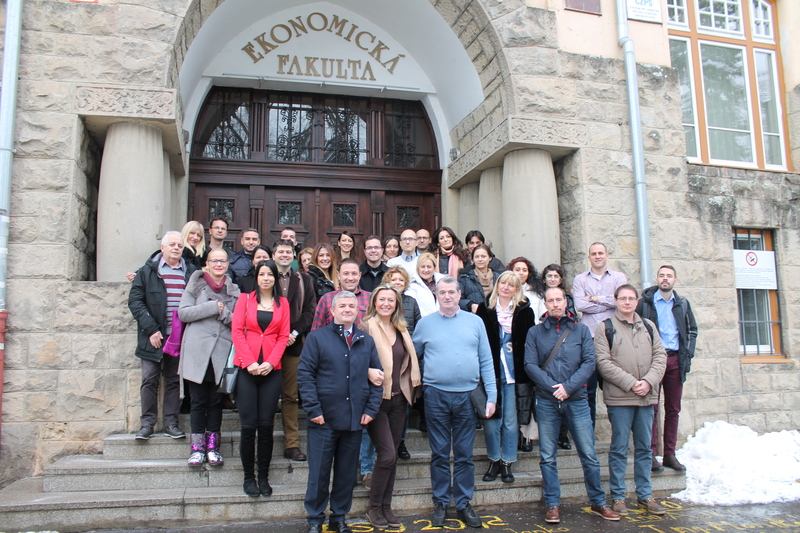 On 3rd-7th December 2017, a project meeting of the international project FINAC - Financial Management, Accounting and Controlling curriculum development for capacity building of public administration took place at the Faculty of Economics of Matej Bel University in Banská Bystrica (FE MBU). Four universities from Serbia, as well as the Serbian Ministry of Public Administration and Municipal Development, two universities from Albania and one university each from Croatia, Italy, the Czech Republic and Slovakia participate in the project. For Slovakia, it is Matej Bel University and staff of the Department of Public Economics and Regional Development FE MBU. "This meeting should have the character of a study stay, for the 40 foreign colleagues we have chosen specialists from Slovakia, such as Prof. Ing. Juraj Nemec, CSc., President of the international organization NISPACee, or Jozef Petráš, a member of the United Nations group of experts on the Development of Anti-Corruption Policies. We have been preparing everything since September, and the three months’ preparations culminated in early December." 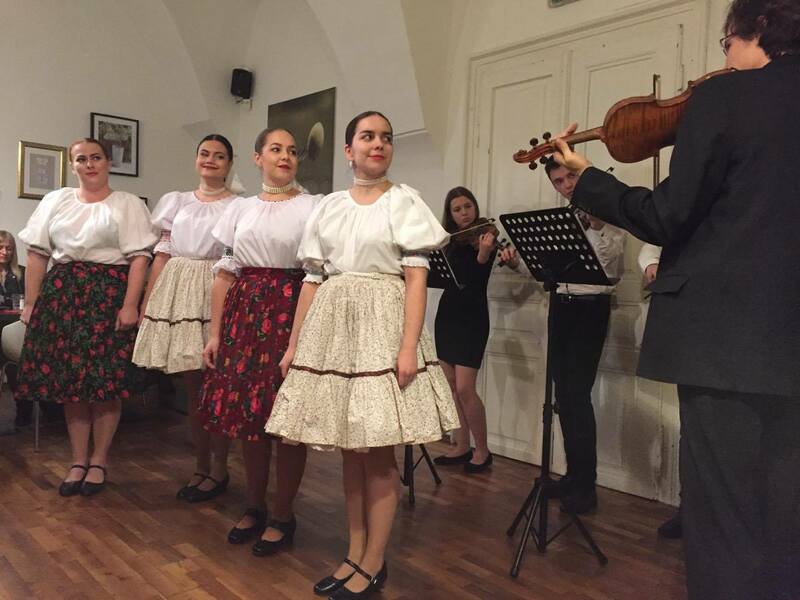 In addition to expert lectures from academics and industry specialists and planning of further steps in the project, a special programme was also prepared - after a festive dinner everyone present was treated to a performance by the University Folklore ensemble Mladost under the guidance of Martin Urban. The musicians, dancers and singers presented folklore songs and dances from several parts of Slovakia and for an encore a Christmas song. "The whole event was organized at a high level, the lectures were excellent and the cultural programme was the icing on the cake, the Slovak folklore fascinated us. Banská Bystrica is a picturesque town, it is cosy and friendly. Thanks to the snow and the Christmas market, this project meeting had an exceptional charm. We are grateful that we have such great colleagues from FE MBU in our team." Matej Bel University confirmed the quality of its faculty and its workplaces, the satisfied participants look forward to returning to Slovakia and Banská Bystrica. The organizers of the event would like to thank all those who participated in the event - speakers, artists, project team as well as UMB and FE for creating more than suitable conditions and to Banská Bystrica for providing representative materials. • Design and development of three new Masters courses in Serbia and two new Masters courses in Albania in the field of financial management, accounting and control to strengthen the building the capacity of public administration in Albania and Serbia. • Providing training at higher education institutions / institutions for public servants in Serbia. • Modernization of one Masters course in the field of public finance management in Serbia. More information about the project can be found at www.finac.org.rs.